SAN ANTONIO, Texas – While the rest of the country is standing in line at 4 a.m. the day after Thanksgiving, and feverishly monitoring the internet the following weekend for the “bargain of the year”, holiday shopping for the angler on your gift-giving list is as easy as “point, click and save” on Black Friday and Cyber Monday, thanks to Livingston Lures. Livingston Lures – the innovative creators of Electronic Baitfish Sound (EBS™) technology – will offer special online deals on Nov. 28 (Black Friday) and Dec. 1 (Cyber Monday), providing anglers with their best chance to stock up on essential baits while saving money. The day after Thanksgiving has become a gigantic nationwide shopping “event” in recent years, with millions of people braving massive crowds and potentially inclement weather.  Livingston Lures’ approach though is much simpler, and much less stressful. The deal: buy any two baits online from the Livingston Lures catalog of EBS™-powered baits, and receive a third bait for free. 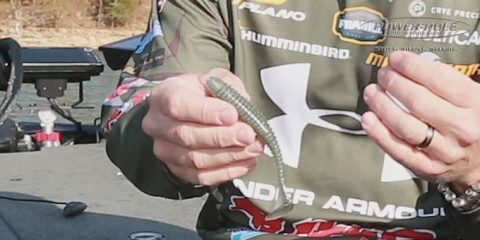 That discount is good on all lures in the Livingston lineup, from the Pro Sizzle Jr. to the Dive Master 20 to the Pro Ripper to the Howeller Dream Master Classic (DMC)- the lure that carried Team Livingston pro Randy Howell to victory at the 2014 Bassmaster Classic. 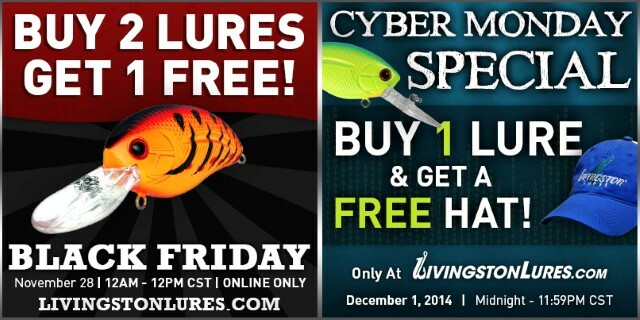 Livingston’s Black Friday buy-two/get-one deal is valid from midnight until 12 noon CST on Black Friday. Orders must be completed on the Livingston website: log on to www.LivingstonLures.com and click on the “Lures” link at the top of the page to start shopping. 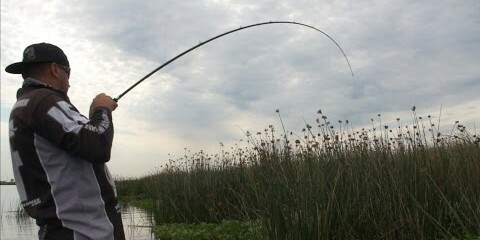 The Monday following Thanksgiving is one of the heaviest online-shopping days of the year, and while retailers frequently offer deep discounts on merchandise to entice shoppers on Cyber Monday, Livingston is going one better: anglers who order Livingston baits on Dec. 1 will receive a free Livingston Lures hat for every Livingston bait purchased between midnight and 11:59 p.m. CST. 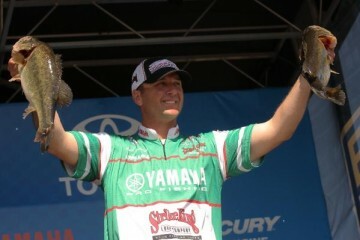 Log on to www.LivingstonLures.com on Dec. 1 and follow the on-screen prompts upon ordering from the Livingston lineup of EBS™-powered baits. In addition to the Black Friday and Cyber Monday deals, Livingston is running a series of promotions and contests during the holiday season. To learn more and to enter to win, be sure to follow them on Facebook, Twitter, Instagram & Google +.